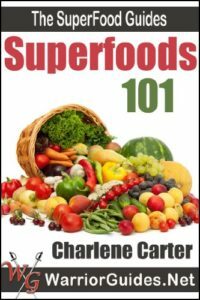 Superfoods are nutritional powerhouses that are essential for healthy living. They can provide you with micronutrients that are crucial in maintaining your body’s optimum balance and internal equilibrium. Among the wide range of healthy foods that are included under the banner “superfoods”, there are some that are extremely beneficial to your health. Apples are one of these superfoods. Packed with numerous minerals, vitamins as well as plant compounds that are very important for your health, apples are among the few fruits that can be consumed even by diabetics because of their low glycemic index. The fruit has pectin, a soluble fiber that eases bowel movements and improves the functioning of your digestive system. Pectin is also helpful in lowering blood cholesterol levels, and as result, helps prevent risk of cardiovascular diseases and strokes. Another important element in apples is their antioxidant plant compounds that protect your body from stress as a result of oxidation. This in turn protects you from several illnesses. Blueberries are another superfood that health professionals and nutritionists have recommended for ages because of their effect in reducing the risks of cancers and cardiovascular diseases. Blueberries are rich in antioxidants which can harm cells in various ways. They are also rich in flavinoids, which help in suppressing inflammation which alleviates symptoms of arthritis and other chronic inflammatory conditions. Beans are also classified as superfoods because they are one of the richest sources of fiber, protein, iron and calcium. The fiber content is helpful in easing bowel movements by adding to the bulk of indigestible matter. Beans also help with lowering your blood cholesterol level and prevent overeating by keeping you feeling full for longer. Beans also reduce the risk of contracting colon cancer. Olives are also superfoods rich in monounsaturated fat, which is a healthy form of dietary fat that reduces the risk of heart diseases. Olive oil boosts the level of good cholesterol in the blood as well as high-density lipoprotein. They also have antioxidant compounds that are very important in protecting your body from harmful activities of damaging free radicals. One of the best superfoods are tomatoes. They contain lycopene and vitamins, which are two powerful antioxidant nutrients that help reduce the risk of cancers especially prostate cancer. Tomatoes also indirectly improve cardiovascular function. They are important in improving bone health and decreasing the risk of neurological diseases. Other superfoods worthy of note include broccoli, salmon and green tea. Broccoli has phytochemicals that can protect you from age related muscular degeneration, cancers and heart problems. It also lowers prostate hormone levels in the blood, reduces inflammation and supports detoxification. Salmon is rich in essential fats known as omega 3 fatty acids. These fats are very important for the cardiovascular system, joints as well as cognitive health. They also help in maintaining a healthy cholesterol level in the blood. Green tea is a superfood which has powerful antioxidant flavinoids to help reduce the risk of cancers. It also suppresses inflammation and helps in lowering harmful levels of cholesterol in the blood. Including superfoods in your diet will help your health both in the short term and into the distant future. They will help you to overcome many health problems, prevent diseases and increase longevity. No wonder these dietary marvels are referred to as Superfoods! This entry was posted in Health & Wellness and tagged Best Superfoods on December 11, 2018 by Healthy Living Guide.